A descendant of warriors, chiefs and military men of the Clan MacLeod, James A.F. Macleod led an adventurous life that took him from his birthplace on Scotland's Isle of Skye to the Canadian west. After immigrating to Ontario, Macleod became a lawyer and militia officer before joining the effort to quell the 1870 Red River Rebellion. 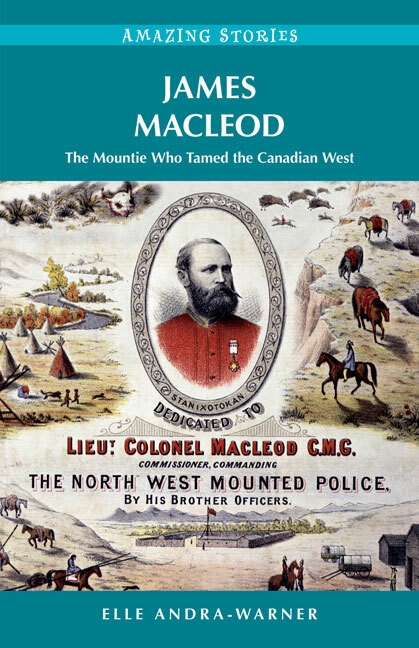 In 1874, he was appointed assistant commissioner of the newly formed North West Mounted Police and led his troops west to smash the whisky trade and bring law and order to the vast North-West Territories. Macleod smoked the peace pipe with prominent chiefs like Crowfoot and Red Crow, earning their trust as a man who kept his promises. As a policeman and judge, Macleod showed a strong sense of justice, sympathizing with the plight of First Nations peoples and challenging the government when it failed to fulfil treaty obligations. This exciting new biography is a vivid account of the life and times of the larger-than-life Canadian hero who played a major role in the peaceful development of western Canada.